..But Mr. Tambourine Man in addition to being about freedom, is about surrender (“I’m ready to go anywhere, I’m ready for to fade..” Take me disappearing…”), and I can feel myself letting go of my thoughts and going under the dancing spell of the performance as a whole a little more each time it goes by. “Mr. Tambourine Man” is a song written, composed, and performed by Bob Dylan, who released his original version of it on his 1965 album Bringing It All Back Home. The Byrds also recorded a version of the song that they released in the same year as their firstsingle on Columbia Records, reaching number 1 on both the Billboard Hot 100 chart and the UK Singles Chart, as well as being the title track of their first album, Mr. Tambourine Man. The Byrds’ recording of the song was influential in initiating the musical subgenre offolk rock, leading many contemporary bands to mimic its fusion of jangly guitars and intellectual lyrics in the wake of the single’s success. The song has a bright, expansive melody and has become famous in particular for its surrealistic imagery, influenced by artists as diverse as French poet Arthur Rimbaud and Italian filmmaker Federico Fellini. The lyrics call on the title character to play a song and the narrator will follow. Interpretations of the lyrics have included a paean to drugs such as LSD, a call to the singer’s muse, a reflection of the audience’s demands on the singer, and religious interpretations. Dylan sings the song in four verses, of which The Byrds used only the second for their recording. Dylan’s and The Byrds’ versions have appeared on various lists ranking the greatest songs of all time, including an appearance by both on Rolling Stone’s list of the 500 best songs ever. Both versions also received Grammy Hall of Fame Awards. “Mr. Tambourine Man” was written and composed in early 1964, at the same approximate time as “Chimes of Freedom,” which Dylan recorded later that spring for his album Another Side of Bob Dylan. Dylan began writing and composing “Mr. Tambourine Man” in February 1964, after attending Mardi Gras in New Orleans during a cross-country road trip with several friends, and completed it sometime between the middle of March and late April of that year after he had returned to New York. 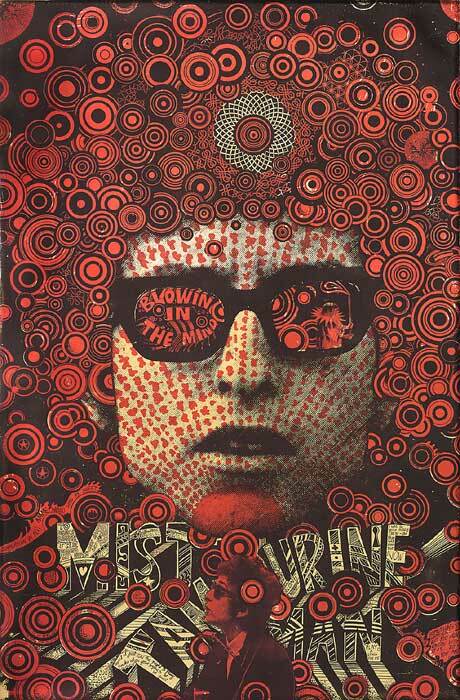 Nigel Williamson has suggested in The Rough Guide to Bob Dylan that the influence of Mardi Gras can be heard in the swirling and fanciful imagery of the song’s lyrics. Journalist Al Aronowitz has claimed that Dylan completed the song at his home, but folk singer Judy Collins, who later covered the song, has stated that Dylan completed the song at her home. Dylan premiered the song the following month at a May 17 concert at London’s Royal Festival Hall. Dylan first recorded “Mr. Tambourine Man” a few weeks later, on June 9, with Tom Wilson producing, during the Another Side of Bob Dylan session. 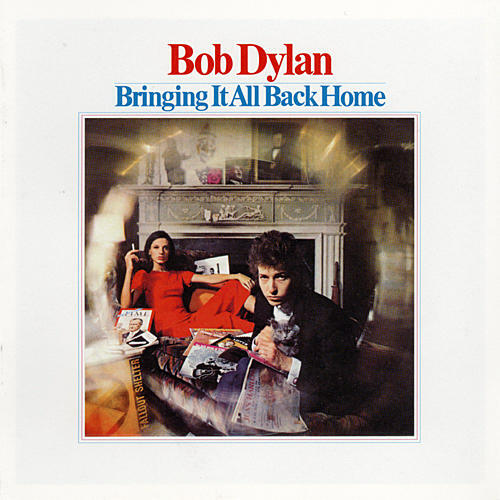 The take, recorded with Ramblin’ Jack Elliott, was cut from the album because Dylan felt the song was special and their performance did not do it justice. Sometime that month he also recorded a publisher demo of the song at Witmark Music. 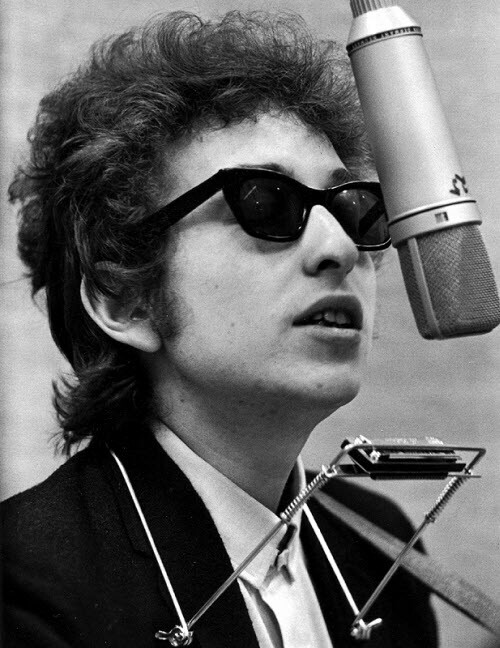 More than six months passed before Dylan re-recorded the song, again with Wilson in the producer’s chair, during the final Bringing It All Back Home session on January 15, 1965, the same day that “Gates of Eden,” “It’s Alright, Ma (I’m Only Bleeding),” and “It’s All Over Now, Baby Blue” were recorded. It was long thought that the four songs were each recorded in one long take. However, in the biography Bob Dylan: Behind the Shades, Clinton Heylin relates that the song required six attempts, possibly because of difficulties in working out the playoffs between Dylan’s acoustic guitar and Bruce Langhorne’s electric lead. The final take was selected for the album, which was released on March 22, 1965.
but the real genius of this version is the way Dylan alters his inflection throughout, his voice rising on a word or phrase where we would expect it to fall, and vice versa. The effect is to invite and require us to experience the song as something new. There are two dates given in the post for the remarkable live performance that Dylan gave in Drammen, Norway: 1978 or 1981. I wonder which is correct. My tentative guess is 1981 because of the “Shot of Love” feel to the words “sorrow” and “tomorrow.” If it were 1978 it would be in the dark pre-conversion Damnation period overshadowed by dreat of death, fear of committing suicide, a sense of being in bed with Satanic forces. Please clarify which date is correct. Thanks again for your feedback Carl!